Cleaning your carpet regularly will make it last twice as long. Without regular carpet cleaning, dust piles up, spills and stains may become more difficult to remove. It will also be more prone to damages. These maintenance tips will ensure that your floors stay cozy and clean and looking like new for the years to come. When dirt accumulates in your carpet, it can eventually cut your carpet’s fibers. Continuously walking on a dirty carpet will grind dirt particles against the yarn which creates small nicks in its fibers. This is how carpet becomes worn out and if left uncleaned, it won’t be very long until you can’t use it anymore. 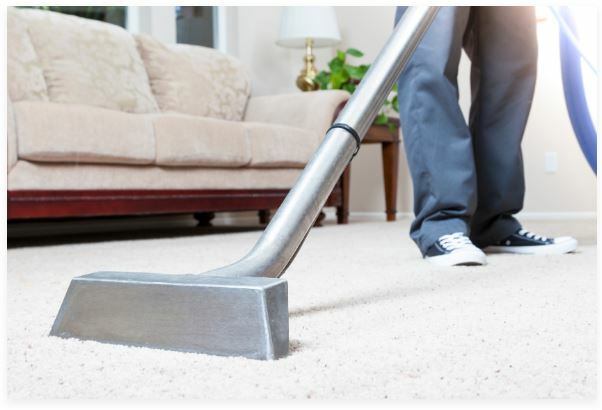 In order to keep carpet clean, you need to vacuum often, and you need to do it the right way. First, you need to ensure that your vacuum is set to the right height for the type of carpet you have in your home. If you set your vacuum height too low, it could damage the carpet as well as the vacuum belt and rollers. Setting the height too high, on the other hand, will make vacuuming pointless because it will not pick up the dirt. To determine the ideal height, set the vacuum to the highest setting, turn it on and gradually lower the height until you feel it tugging on the yarn just enough. Always start with a clean filter and a clean bag. Empty the dust canister before you vacuum and clean or replace the filter when necessary. Some vacuums have indicators which tells you when the filter becomes too dirty. You also need to vacuum at the right speed. Do not run the vacuum too fast or it will not pick up the dirt quite enough. One pass on low traffic areas will do but make two passes on high traffic areas. It is easier to maintain a clean carpet when shoes stay outside or on shoe racks. Walking with shoes that came from outside would bring in dirt and grime right onto your carpet. If you don’t want to leave your shoes outside, you can designate an area for a shoe rack then place a walk-off mat near entrance ways to keep dirt off the carpet. Choose coarse-textured mats that will help remove the soil as you go inside. This will at least minimize the dirt as people come in and place their shoes on the shoe racks. Spilling your carpet is inevitable especially when you have children in the house. Using the proper method to clean a spill makes all the difference. The most important thing to keep in mind is to clean spills as soon as you see them and remember DO NOT RUB. Instead, dab some carpet cleaner or cleaning solution onto the affected spot then blot it with a clean cloth. This will soak up the spill and prevent it from setting in. Do not allow the spill to spread any further. No matter how careful you are with your carpets, they will eventually snag. Do not pull a snag because it will only worsen the problem. You could accidentally tear the carpet out from its backing and it will be difficult to repair. The correct way to remove snags is to use scissors and trim them at the base. It’s the easiest way to remove them and it will prevent any further damage to your carpet.